Of course in a way the work does place the figure as the image of greatest importance but here the figure is that of the visitor rather than a representation of the artist. And the density of the mist is such that often all that is visible from the outside is a glowing white box. 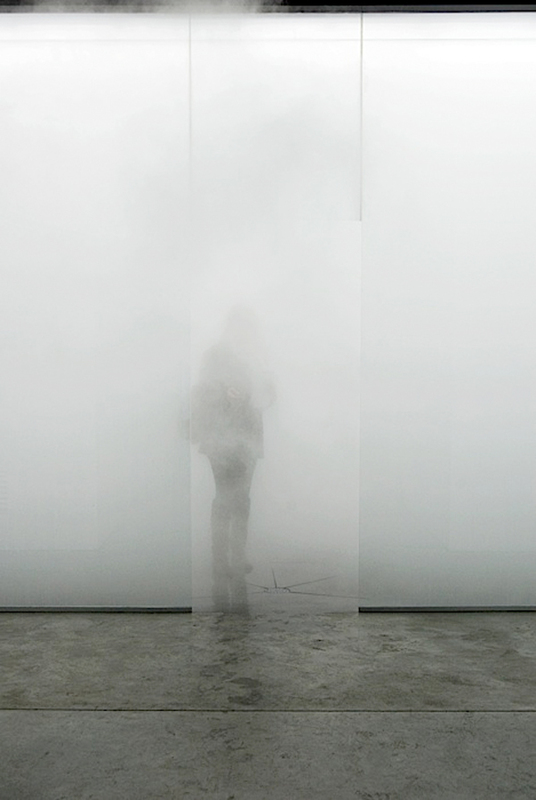 When I saw Blind Light – in Gormley’s 2007 exhibition of the same name at the Hayward Gallery – I was with two friends; we entered the space together but almost immediately became invisible to one another. In a space in which it’s impossible to see your hand in front of your face, disorientation is speedy. I worked my way through the fog very gingerly indeed. At various times I was convinced there was something other than people in the room but in reality I had little idea of anything, especially how far from the walls I was or indeed how to get back out. Eventually emerging from the room, I carried an unexpected reminder of the work through the gallery with me as I looked at the rest of the exhibition in the form of rising damp in my slightly too long jeans. 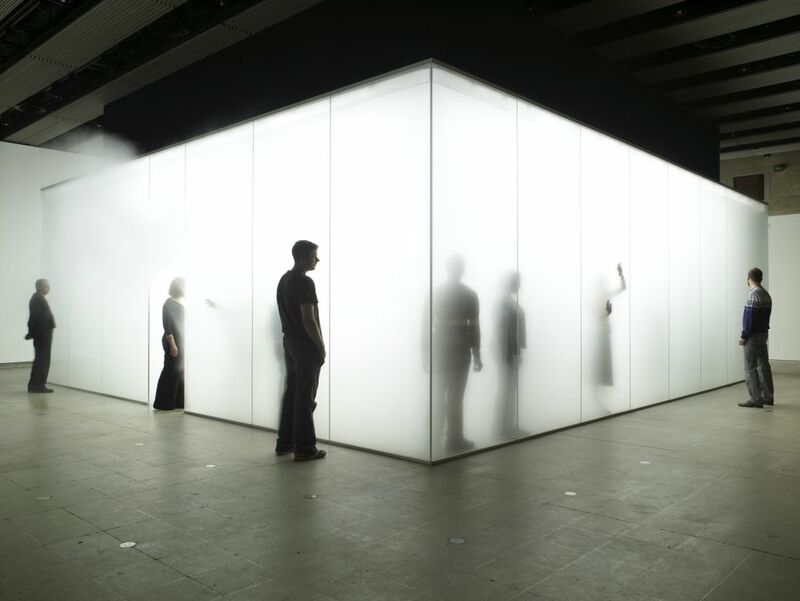 This entry was posted in Installation, Light and tagged Antony Gormley, art, Blind Light, fog, Hayward Gallery, installation, mist by Ann Jones. Bookmark the permalink. I saw this and it was quite overwhelming. Did you have a comparison in mind posting this after Balka’s “How it is”? Experiencing both, I imagine you constantly consider the full dimensions of the space. Does Gormley’s room feel more claustrophobic in spite of visibility being the same? It’s interesting to compare (and something I did mean to do when writing this post but didn’t quite get round to it, so the question is greatly appreciated). I think Blind Light is more claustrophobic – and is probably a smaller space but still pretty big – but How It Is is more sinister. It’s partly to do with the way the Balka piece looms above; the Gormley was, as Diana says, overwhelming but it’s also softer somehow. I guess there’s a light versus dark thing; it’s also blank emptiness versus enveloping, impenetrable light. I admit to being more visually oriented on blogs, but the text part of your posts are great. Thanks!